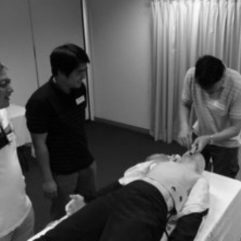 The Advanced Paediatric Emergency Simulation course is the follow-on course from the Paediatric Emergency Simulation course. Participants will be exposed to a more complex range of paediatric emergencies that they may encounter in their workplace. A high level of simulation familiarity and Paediatric emergency knowledge is required for participation in this course. This course can be tailored to meet the needs of the learners or the facility and can be performed in situ to test the facility resources. It is therefore an ideal course for facilities that are expanding services prior to opening.